April Bank Holiday; Any orders placed will be processed after Tuesday 23rd April, Thank You. A selection of mainly OO-gauge coaches and passenger carriages in a wide range of rail liveries for your model railway collection. Coaches available from leading producers such as Bachmann and Hornby in liveries for Virgin HTS coaches, InterCity coaches, Pullman coaches, First Great Western to name but a few rail network operators. 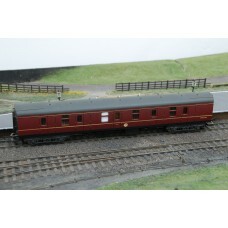 Bachmann Branchline 34-502 63ft Bulleid Corridor Open Brake 2nd Crimson / Cream BR Carriage in OO Ga..
A Lima GUV Van model number 305657A3 in BR maroon colours and numbered W86470, the express general u.. 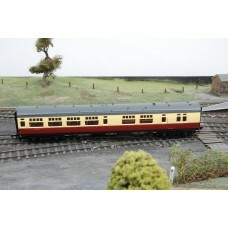 This Hornby R4211 BR MK1 Western Region Buffet Coach, numbered W1813 with early BR emblem is a OO ga..
A Hornby R4208 British Railways MK1 brake coach in Western region, numbered W34800 coloured in choco.. 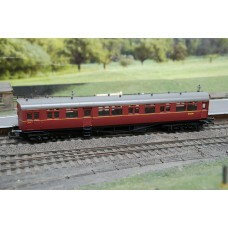 This is a Hornby R4100A autocoach, in British Railways BR maroon colours and is numbered W188W. 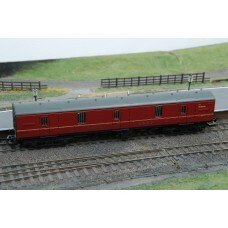 This..
A Lima 305342W Full brake (BG Brake Gangwayed) OO Gauge coach in British Railways BR Maroon with coa.. 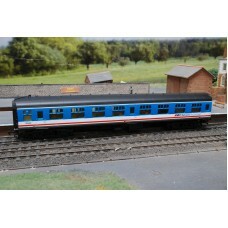 This MK1 BG Network South East Passenger Coach is produced by Replica Railways. The OO gauge model w.. This MK1 SK Network South East Passenger Coach produced by Replica Railways is numbered as carriage .. 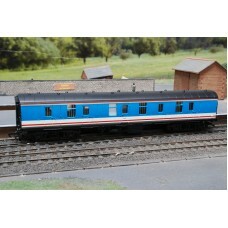 This MK1 BSK Network South East Passenger Coach produced by Replica Railways is numbered as carriage.. 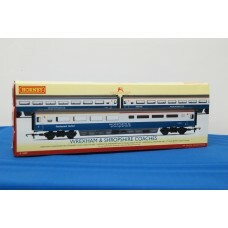 This coach pack produced by Hornby under model number R4399 is a Wrexham and Shropshire OO gauge coa..